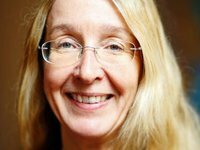 Ukraine's Cabinet of Ministers has appointed Deputy Health Minister Ulana Suprun as acting health minister. The government approved a relevant resolution on Wednesday. As reported, on July 12, Ukrainian President Petro Poroshenko met with a doctor, volunteer, director of humanitarian initiatives at the Ukrainian World Congress, Ulana Suprun, and asked her to become deputy minister of health of Ukraine. On July 22, Ukraine's Cabinet of Ministers appointed Suprun deputy health minister. Suprun is an American of Ukrainian descent. Since the fall of 2013, she has lived in Ukraine. During the events of the Revolution of National Dignity she worked in a medical service. In 2014 she headed the humanitarian initiatives of the Ukrainian World Congress. On July 11, 2015, Poroshenko granted Ukrainian citizenship to Ulana and her husband Mark Suprun. Earlier in July, officers of Security Service of Ukraine and the Prosecutor General's Office detained Deputy Health Minister Roman Vasylyshyn for bribe-taking. Vasylyshyn was suspended from his office.